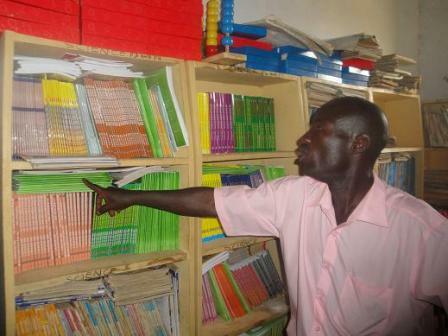 The Uganda national curriclum requires each pupil to have access to four text books in each year of primary education – English, Mathematics, Science and Social Studies. The lack of these textbooks was one of the major problems at the school when KRDP first started. One of our first projects was to provide books for the top three classes – years, 5, 6 and 7. Later we provided some books for use throughout the school and, this year have provided more so that there is now one book between 3 pupils in all subjects, in all years. We have also provided the corresponding teachers books, together with some reference and general reading books. 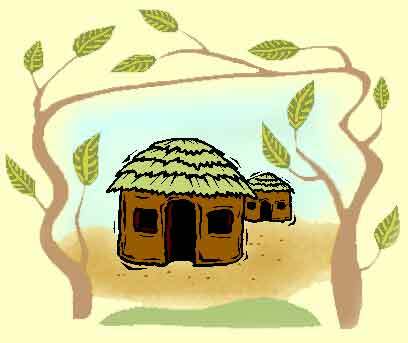 A Ugandan village can be a dusty environment and so it is important that the books are kept in a clean environment. One of our classroom blocks includes a book storage room, complete with bookcases, for all these books. As with other school furniture, the bookcases were made by the village carpenters.